Rev. Farmer-Lewis has been in active service to United Methodist congregations for 40 years. She is a graduate of Michigan State University, receiving a degree in Choral Education and went on to be the Religious Education Director for Three Rivers First United Methodist Church. Linda then attended Garrett-Evangelical Theological Seminary in Evanston, Illinois, receiving her Masters of Divinity. 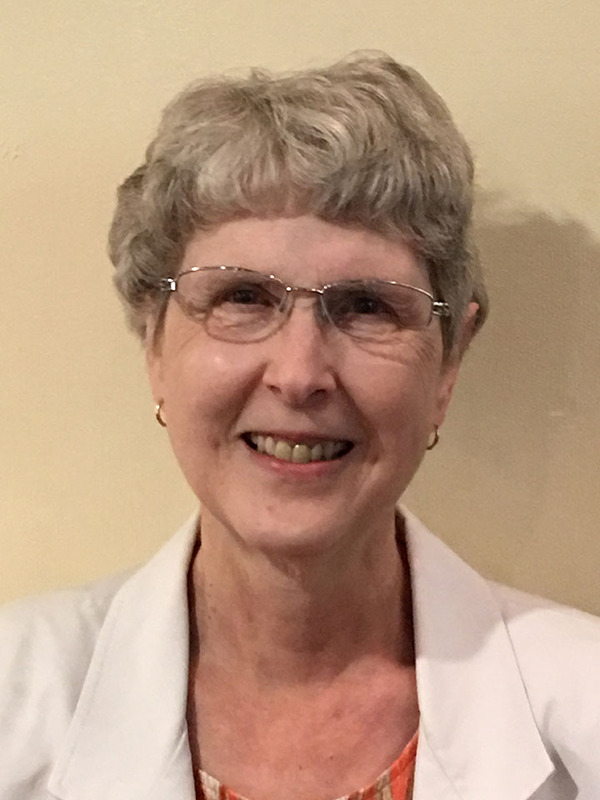 Linda served appointments to Munith/Pleasant Lake, Jackson First, Homer/Lyon Lake, Lansing Trinity, Birmingham, Kenosha First, Leland, Lansing Central, and was the Dean of Chapel for Albion College. 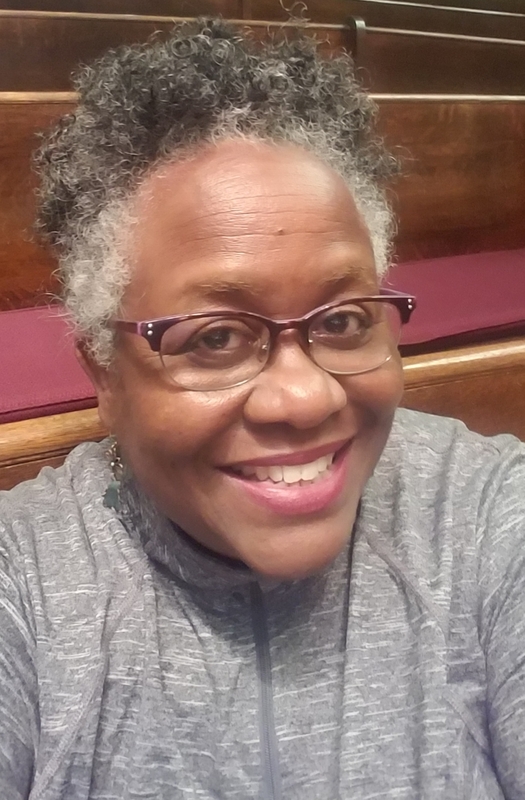 In addition to her church service, Farmer-Lewis has taught K-12 vocal music in Homer schools, and has founded and directed community choruses for many years, including, currently, the Men of Orpheus men’s chorus in Lansing. 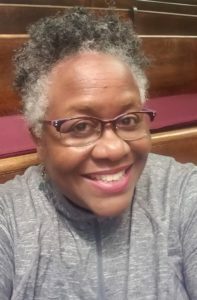 Jean Harvey-Clark has been at First Church since 2011. 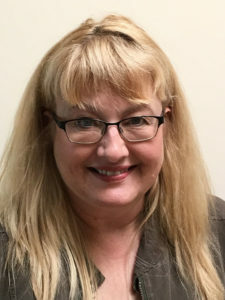 Prior to that she had a career in floral design and worked at the Battle Creek Area Chamber of Commerce and the Calhoun County Visitor and Convention Bureau. She was raised in Battle Creek and graduated from Lakeview High School. She is also a graduate of the Michigan State University Commercial Floriculture program. Jean is married and has two sons. Her hobbies include photography, scrap booking, rubber stamps/paper crafting, gardening, raising Monarch butterflies and Detroit Red Wings hockey. 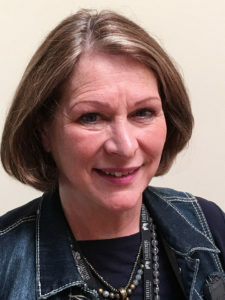 Anita Blueford has been at First Church since 2016. Prior to that she has been active in music directing, accompanying and performing in many music settings, both in churches and in the public arena. She grew up in Little Rock, Arkansas, and traveled the world with her husband Micheal through his Air Force career. They have two children, Micah and Shani. Her hobbies are quilting, knitting, gardening, hula hooping and Japanese Taiko drumming. Kay Ensfield has been at First Church since 2011. Prior to that she worked in music programs at various churches in the area and is a retired social worker with the Red Cross. She is currently secretary of the American Guild of Organists. She was raised in Detroit and has lived mostly in Kalamazoo since college days. She is married with three children and six grandchildren. Naghielly Agy (pron. na-jelly) has been at First Church since 2010. 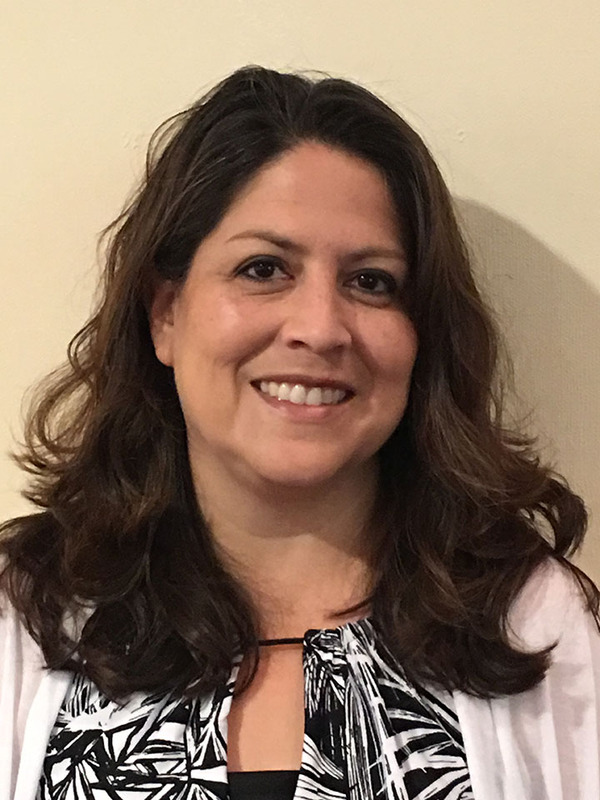 Prior to that she has been a choir accompanist in local churches and is currently a medical office manager. She has been in Battle Creek since ninth grade. She has three children, a son at Western, a daughter in Oregon and her youngest daughter is at KCC. Jeff Stevens has been at First Church since 2014. Prior to that he served for 21 years in public safety. He was born and raised in Chicago before coming to Battle Creek. He has four daughters, 2 outside Chicago, one in southern Illinois and one in Memphis, and one grandchild. He enjoys movies. 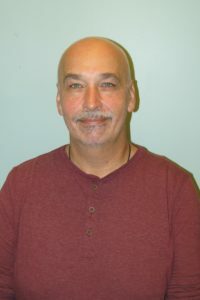 He is a graduate of the Haven’s Life Recovery Program in 2012.